With the rise of multicloud computing, the focus for cloud admins shifts away from bits and bytes to orchestration, automation and more sophisticated cost management. new tools comes a need for new IT skill sets. 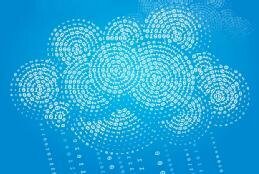 The multicloud management market is expected to grow from $939.3 million in 2016 to $3.4 billion in 2021, with a compound annual growth rate of 29.6%, according to research firm MarketsandMarkets. Management tools in this space come from vendors ranging from Cisco, with its CliQr offering, to companies like RightScale, Scalr and Turbonomic. These multicloud management tools rely less on traditional metrics, such as gauging a server's or a router's workload, and more on reporting functions. With multicloud -- and cloud, in general -- system configurations change dynamically, so businesses need a historical record of which workloads ran on which cloud server or platform. In addition, to properly manage a multicloud deployment, admins need to evolve their skills around cloud orchestration and cost optimization. In the past, cloud administrators needed expertise in areas like Microsoft Windows and Cisco networking. But with cloud -- and especially multicloud -- experience with orchestration tools becomes more important. As technologies such as virtualization and cloud have swept through the data center, system configurations have increased in both number and complexity, and multicloud only furthers that story. Orchestration tools, as well as next-generation system automation tools, are one reason why system resource allocation takes less time in these complex environments. Orchestration tools automate and coordinate complex system administration processes, including those that involve many tasks or that admins must perform in rigid ways. For instance, to provide a cloud application with more storage, admins often need to change the settings for the application, database, storage array, web server and load balancer. Previously, system automation tools changed only one device setting; orchestration tools update them all. These advanced orchestration capabilities are especially useful for multicloud management, where organizations need to oversee applications across different cloud platforms and configurations change quickly. Admins should look into Chef, HashiCorp, Puppet and SaltStack, which are well-known orchestration tools in the market, to build up multicloud orchestration skills. The training and certification ecosystems for multicloud management, in general, are in an early stage of development. Vendors and their channel partners have developed classes, so IT pros can gain a basic understanding of how systems work. For instance, DivvyCloud has a webinar that outlines best practices for the use of its Divvy Bots to identify and fix common security problems related to network access, user policies and data protection. But more traditional, deep-dive training and certification programs are still emerging. IT pros can self-study or volunteer for new projects that involve these tools to gain an understanding of how to use them. IT cost management models must also evolve with multicloud -- especially as more IT pros challenge the assumption that the public cloud is always less expensive than on-premises alternatives. In many cases, businesses look at their multicloud deployments and find waste, unpredictable monthly bills and vendor lock-in risks, according to Torsten Volk, managing research director at Enterprise Management Associates. For instance, a DevOps team might create a test version of an application and leave it running in the cloud after the application moves to production, creating unnecessary costs. In response, vendors such as Cloudability and Cloudyn offer cloud cost management tools to monitor spending in multicloud environments. For instance, Amazon Web Services charges customers each time data moves from one resource to another, including from its own platform to another platform, such as Azure. Cloudability and other multicloud management tools identify those costs so firms can take steps to lower them. What multicloud management tools have you found most helpful? Multi-cloud environments have a lot of benefits to offer organizations, but IT administrators need to know how to automate and secure disparate clouds. Storing data in multiple clouds is a fairly new strategy, but it's useful for companies that want to control cloud costs, protect privacy and ensure their data is always available. A multicloud deployment takes considerable planning for an enterprise, especially when it comes to security. Expert Dave Shackleford looks at the challenges of multicloud.